Our range of service in metal working reaches from CNC milling over CNC turning, deep drilling , honing, cold forging, wire and sink erosion, laser engraving and laser technology all the way to the measurement technology, the burnishing, deburring, brushing and sanding with robots. In wood working we mastered the free form milling and lasering as well as many different surface finishing treatments. The Merkel Group offers a range of technologies, which all fulfil the highest standards and norms. Naturally the production in Suhl is quality certified under the ISO9001:2008 and moreover it is capable to satisfy highest norms in different markets. The company is specialised in prototypes and small and medium sized batches up to 1000 pieces in the materials non-ferrous metals, stainless steels, steel and wood. The finest recipes require the best ingredients. We make no differentiation when it comes to manufacturing parts. The components of our hunting rifles are all made to the same quality criteria and often from the same materials.. The intended use and demands placed on the guns determine which material is used and how it is processed. A hunting gun consists of up to 130 components – and we produce every important part in our Suhl manufactory. The whole is more than the sum of its parts – but we know that the whole comes down to every part. It is often a matter of a hundredth of a millimetre. When a shot is fired, a bite plate on the receiver absorbs the thrust load – and must close perfectly and run smoothly. Or it is a question of materials that have special properties: V-springs of spring steel, which accelerate the hammer with unequalled vehemence. The basic manufacturing of every part follows its own laws and requires specific expertise. The stage where the mechanical processing of difficult to machine materials reaches its limits is the stage where electrical discharge machining (EDM) comes into play. We use this technology to make traditional rifle parts such as cocking rods, set triggers and auxiliary levers for our Meisterstücks. 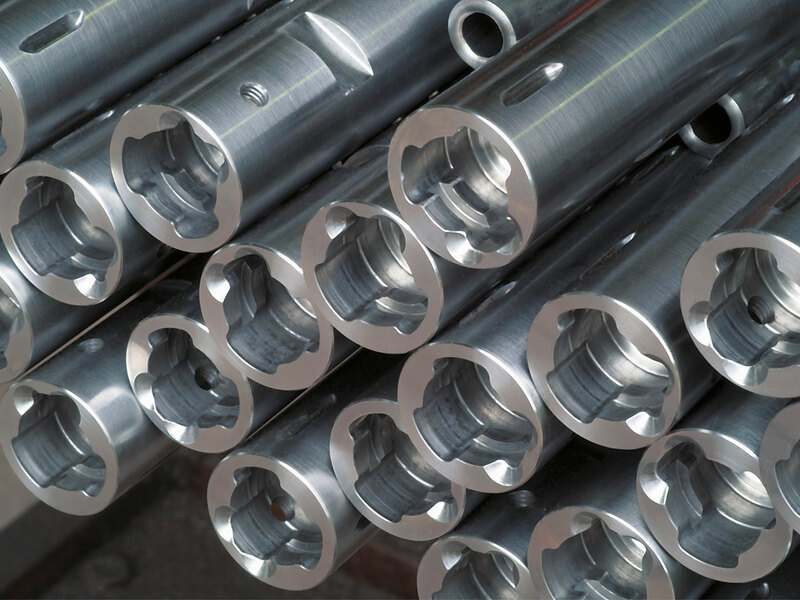 A major advantage of the electro-erosive processing is the very high level of dimensional accuracy; even extremely hard materials such as hardened steel, titanium or carbides can be processed. It is also possible to produce burr-free edges and sharp-edged geometric shapes. 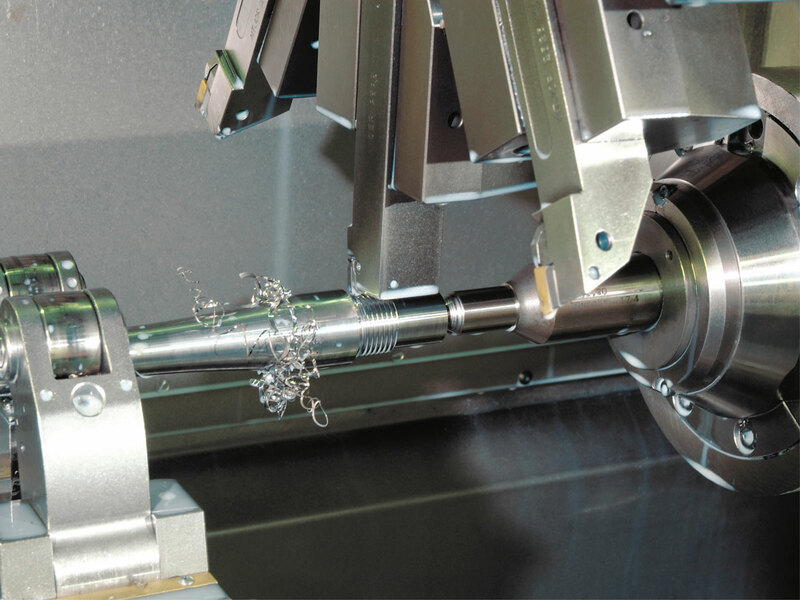 The erosive processes used by Merkel are computer controlled die-sink EDM and wire-cut EDM. With wire-cut EDM a very fine brass live wire cuts parts from the blank in a non-conductive fluid (dielectric). Temperatures from 1,000°C to 5,000°C are reached in a discharge channel, which lead to melting and evaporation of the material particles. The achievable manufacturing tolerances are in the micrometre range. 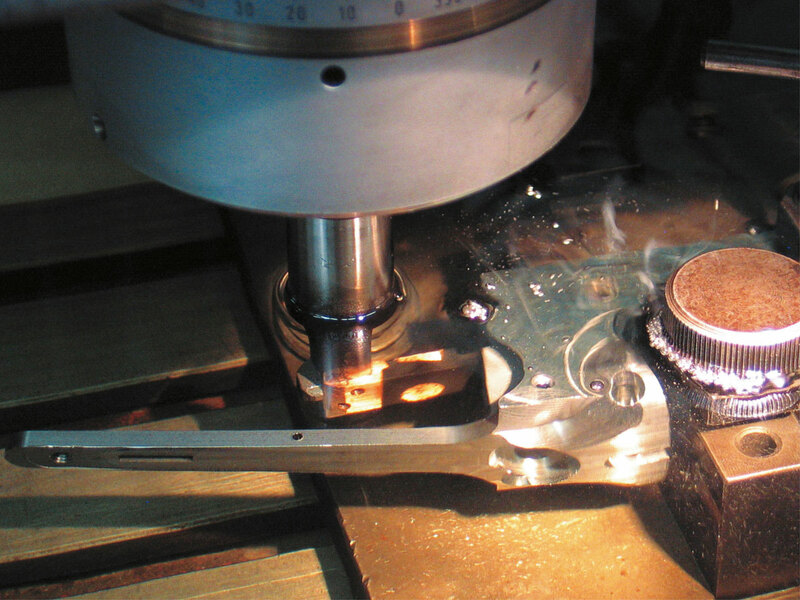 With die-sink EDM, sparks are generated via a conducting tool (electrode) onto the workpiece to be processed. These sparks remove tiny particles of material. The electrode is programmed with the negative form of the workpiece surface to be created. The term CNC “computer numerical control” – describes a world in which lathes and milling machines are controlled by computer programs. The high level of investment in production with multi-axis machining centres and in highly qualified staff is rewarded with the highest quality. In the Merkel manufactory, this occasionally leads to apparently bizarre combinations of this technology and the gunmaking handcraft. Once the barrel maker has combined and adjusted his barrel set with tongs and torch, solder and wire, this handmade semi-finished part is mounted into the high-tech CNC machines. 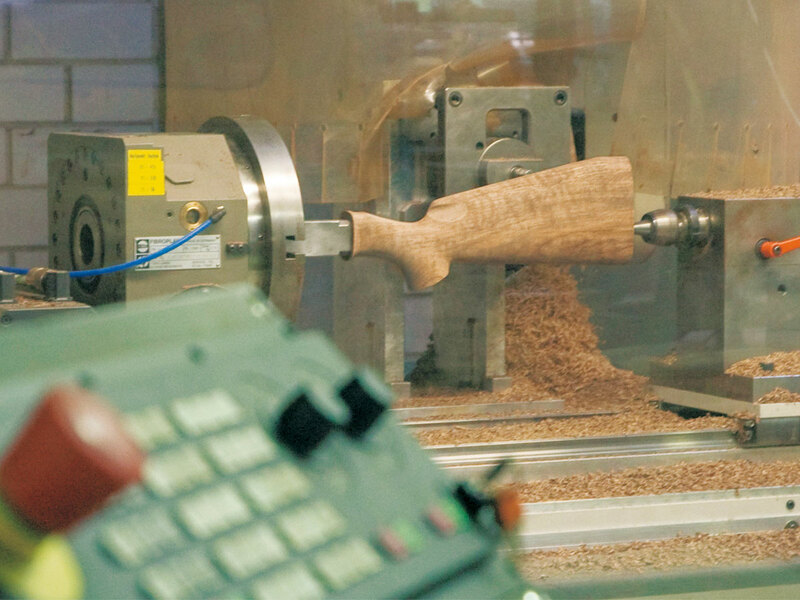 For example, the computer controlled milling centre processes the hooks of the barrel set of break down guns, which later combine the barrels and the action into a single part. Thus a unity comes into being that can withstand the enormous pressure of a gunpowder explosion – with an unparalleled combination of handcraft intuition and computer precision. The Merkel group not only manufactures hunting, sporting and law enforcement guns, but also parts as a supplier for prestigious companies throughout Europe. The recipe for success of both business models is the same: high flexibility, highest precision, modern machinery as well as experienced engineers, technicians and workers, who can handle high-tech as well as handwork – in different technologies.